Read grew up in Herefordshire in England, drinking ciders made from old stone presses and making his first cider at age fourteen. “It was never about ABV,” Read said. “It was about a hearty feel and putting hair on your chest. That’s what rustic country cider’s about.” Upon arriving to America in 2005 with his wife, Read found he wasn’t really drinking cider and in particular, was missing Weston’s from back home. So he decided to make his own. Read knew what he was looking for in the palette and after going through tons of tasting and brewing, he was able to find a blend that would eventually become the Griffin Original. Going from home brewing to selling was a big jump. Fortune came in the form of an old unused winery from the proprietor of J.W. Dover Inc. “You don’t have to have the best equipment, what’s more important is knowing how to make it,” said Read. Griffin Cider Works now had a place to make cider, using only the highest quality apples grown right in Ohio. Griffin Cider Works has doubled in sales since last year and is now a mainstay on tap in many of Ohio’s bars. They’ve dealt with their share of setbacks, but as Read says, “You can either be the guy who stands up or the guy who lies on the floor and cries.” This is the sentiment behind Griffin’s Burley Man cider, which is named in the spirit of Read’s grandfather, Stanley. A blue collar railroad man, he, like the cider named for him was robust, full bodied, and knew the importance of staying true to the task at hand. In a similar manner, the Lolo Romy Cider pays tribute to Read’s father –in-law, Romulo Alcantara. With Lolo meaning “grandfather” in Alacantara’s native Tagalog language, this sweet cider infuses Philippine mangos, creating a unique tasting and aromatic experience. No ingredient is off limits to Griffin Cider Works as their other ciders include fusions of elderflowers, honey oak, lemon, and cherries among others, all in the name of good taste. As for the mascot and name, the Griffin is the perfect representation of Read himself. The lion and eagle hybrid symbolizes how Read sees himself: as a true Anglo-American. 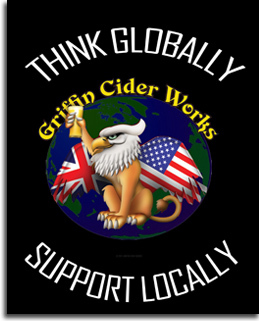 Each cider produced by Griffin is created with a purpose and a story. Griffin Cider Works is a reminder that even as cider begins to be commercialized and highly recognized in America, cider always begins as wanting to creating a good drink. “Even if things don’t work out,” Read says, “I can say I did it and what I produced was great.” But with Griffin’s smart business plan for the next year and the passion for cider that fuels it, Griffin Cider Works seems it will be around for a while. 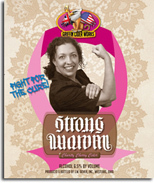 Strong Woman - a medium English cider finished with cherry to produce a pinkish red specialty. This is a charitable non-profit cider that supports the fight against breast cancer. Available in October only - very limited kegs, first of its kind! You can learn more about Griffin Cider Works and find where to drink and buy their ciders by visiting them online at GriffinCiderWorks.com. 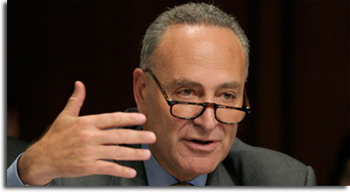 Senator Charles E. Schumer of New York released a statement about his plan to create a boon for NY apple producers through a new definition of hard cider that will lower taxes on the beverage, improve ability to compete in foreign markets and increase farmers’ sales. His plan… CIDER Act. CIDER Act’s main goal is to boost the sales for New York’s over 20 existing hard apple cider producers and allow the over 650 apple growers to expand th eir business and add hard cider beverages to their product lines. Senator Schumer explained that the alcohol content of New York’s hard cider fluctuates greatly due to the sugar content, and current law often forces it to be taxed at a higher rate, preventing it from being labeled as hard cider. Compliance adds a significant financial burden to producers and consumers, and an unpredictable nature to the business, which makes it less attractive for potential new cider producers. CIDER Act, Cider, Investment & Development through Excise Tax Reduction Act, will modernize the definition for hard apple and pear cider in the Internal Revenue Code IRC) to increase their allowed alcohol by volume from 7 percent to 8.5 percent, encompassing significantly more hard cider products and allowing them to be labeled and taxed like hard cider, rather than wine as it currently is. Schumer's proposal would also address existing tax issues related to carbonation levels in hard cider, and would put the new definition in line with that of the European Union, so producers can better compete with European products abroad. Furthermore, addressing the carbonation level of hard cider would ensure that hard cider products aren’t subject to the higher tax levels as champagne. Hard cider is a value-added product that is sold around the same price every year; therefore hard cider gives producers a stable source of income when apple crops suffer due to weather and other unforeseen factors. New York apple producers are increasingly interested in producing smaller, artisanal batches of hard cider, but cite the cost and difficulty to comply with the IRC definition as significant impediments to expanding their business. “New York is the second largest producer in the country, and there’s no doubt it should be at the core of the hard cider industry, which is rapidly growing in popularity,” said Schumer. “However, current federal tax rules make it extremely costly for producers and consumers alike to produce, market and sell this product, which could prevent New York’s hundreds of apple growers and hard cider producers from fully benefitting from the stable income that comes with this new product. That is why I’m pushing the CIDER Act. If we don’t move quickly to support and grow this blossoming industry in New York, other states will soon worm into this market,” Schumer continued. New York State harvests a total of 29.5 million bushels of apples annually from over 650 farms and 41,000 acres. In recent years, thanks to the growing popularity of hard cider, many apple producers have turned to producing this craft beverage as a method to keep apple orchards profitable, generate new economic development opportunities, and attract a new visitor demographic to their farms. 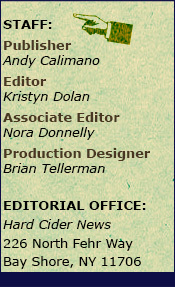 There have been an increasing number of hard cider producers as a result, starting with a few producers a few years ago to over 20 today. And Schumer highlighted that number should only continue to grow, as a significant number of apple farmers are interested in adding this popular product, and have sought out advice and expertise from the Cornell Cooperative to do so. Senator Schumer believes his plan will spur a long-term trend towards the increased profitability growth of hard cider in the apple and beverage industries, just as farm wineries and microbreweries have grown since the 1980s. As the hard cider industry grows, production facilities could catalyze ecotourism and provide a reliable source of income for New York apple growers, similar to the farm wineries that now comprise a significant sector of the State’s grape industry. 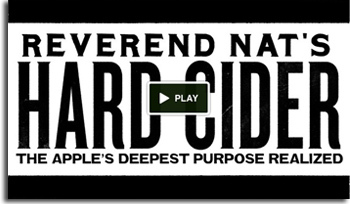 Reverend Nat’s Hard Cider Public Taproom campaign has a goal of $14,500 to reach before Monday, April 15th at 7:24PM EST. If the goal is not reached by then, no funding will be provided. Funding on Kickstarter is all-or-nothing. With 18 days to go, the campaign has 43 backers who have pledged $2,835. The company has a long way to go but with everyone’s help it is possible. 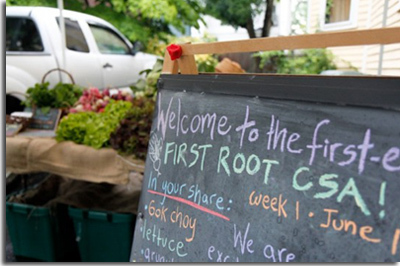 Since their introduction to the US in the 1980’s, Community Supported Agricultures, or CSAs have been eliminating the gap between food growth and consumption, and building a community among its members. The concept is simple. Members by a share at the beginning of the season, and in return, receive a weekly portion of the farm’s production throughout the following weeks. The benefits are numerous for both sides. Farmers have an established market, guaranteed money to support the farm early in the season, and can focus on the quality of the food. 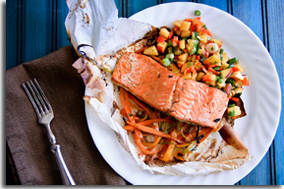 Consumers not only receive farm fresh goods and exposure to new products, but also the satisfaction of being an active participant in their food’s production. But consumers also share in the risks that farms are normally subject to. If production doesn’t yield well, consumers don’t receive their money back, making for a truly mutual sharing in food production. Now along with your vegetables, you can start to pick up cider, as many orchards and cider makers have begun to adopt this business model. Redbyrd Orchard Cider is partnering with Good Life Farm in Interlaken, NY for the second year in a row. Consumers can pick either Workman’s Dry or Semi-Dry Cider and then choose their quantity ranging from a six liter keg to a case. Whitewood Cider in Olympia, Washington offers a cider subscription that delivers 2-3 times over nine months, and Charlton Orchards Farm and Winery in Charlton, Massachusetts offers cider options in their CSAs. Though ciders are relatively new to CSAs, it’s working. It relieves some of the pressure of financial burden, eliminates food waste, and consumers enjoy having a hand in a product they already support. Though there is discussion of whether cider is truly a CSA because it is a value added product and some cider makers do not grow their own apples, it seems what Whitewood Cider is rather calling CSC – Community Supported Ciders – a business model worth exploring. Pucker up! You’re going to love this little tart of cider! 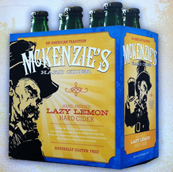 McKenzie’s Hard Cider has announced the release of a new cider style, Lazy Lemon, a gluten free lemonade cider. According to Lenny Ciolek, Owner & Founder of McKenzie’s, “this is a ‘one of a kind’ alcoholic lemonade that offers consumers a nice light, refreshing and tasteful alternative.” It has a burst of citrus without the acidic bite, giving long, carefree days a zesty punch of refreshing flavor. Lazy Lemon will be available in both package and draft beginning in April in select locations in NY, NH, ME, MA, OH, MI, FL, OK and VT. McKenzie’s Hard Cider is coming soon to CT, NJ, PA, TX and WI. Tip: If you get your hands on a bottle, try it shandy-style by enjoying it mixed with your favorite beer! 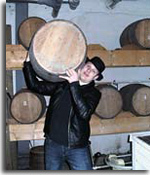 More information about McKenzie’s Hard Cider can be found online at McKenziesBeverages.com. Although taps were never intended to pour cider or wine, with the increased popularity of both the beverages and growlers, consumers are looking for more from their taps. In Bend, Oregon, both cider and sangria can be found on tap at the Growler Guys Fill Station but neither can be poured into a growler because it’s illegal to sell growlers of either beverage at shops, grocery stores or restaurants. To address this issue of growler sales, many retailers have gone to their representatives and pushed for House Bill 2443 to be passed. The bill specifically addresses filling up growlers of malt beverages, wine or cider into containers supplied by the consumer. Since the bill has an emergency clause attached to it, when the bill is passed it will be effective immediately. Currently, the bill is sitting with the state senate and a second reading was held on March 27th. The bill was previously passed by the state house on March 6th with the support of 56 sponsors. It is very likely that the bill will be passed this year, if not in the next few months. 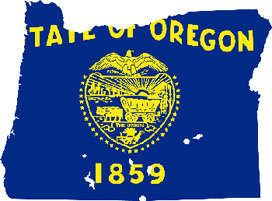 Sponsors of the bill hope it is fast-tracked so it can be signed by the governor before May, which is Oregon Wine Month. Many consumers are in favor of the bill so they can be green and reuse a growler vs. purchasing a new one. Additionally, consumers will have more products available to them. Likewise, producers of malt beverages, wine and cider are clearly in favor of the bill for increased revenue but also decreased production costs.